Technology reaches to the Skylight today. Nothing is out of the touch from technology, not even the fishing. Fishing became more exciting with fishfinder which is an instrument that used to locate fish by detecting their pulse. Now, this fishfinder became smarter with the GPS feature. 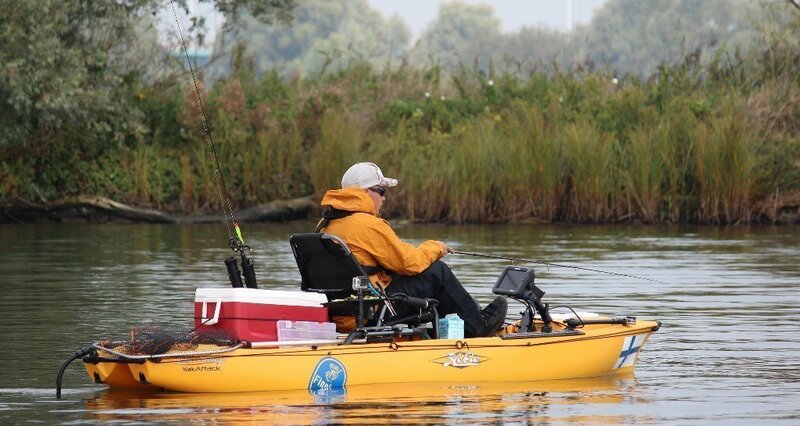 It adds more comfort and ease in fishing. There can be a number of things that a fisher can accomplish with this fish finder instrument. So, lets take a deep dive into the benefits of the GPS fish finder. Fishfinder with GPS features allow a Fisher to track the exact location of the fishes. Even you dont need to do hard work for fishing. Whether you are a professional fisher or just for a hobby, this device facilitates you to enjoy the every moment of the fishing. In short, this instrument makes you able to find the precise location with ease and accuracy. Another important benefit of the GPS fish finder is its cost. Most of such revolutionary products are generally expensive, so everyone is not able to buy it. But on the other hand, this GPS instrument comes with the huge brands including a hummingbird, Lowrance, Eagle and so on that offer a reasonable price for every GPS device. This will be the perfect tool for a lazy fisherman. It will provide an entirely different fishing experience. Some GPS devices are hard to operate. People have to face several tricky usage tricks. On the other hand, GPS fish finder is very easy to use and install. You just have to find out your perfect spot and rest of the work will be done by the fish finder. It enables you to provide the exact location including latitude and longitude as well to deliver the precise location of the fishes underwater and stores it as well so that you can recall it yourself. Its tremendous storing ability allows it to store a number of entries into it. GPS fishfinder come up with the additional features including tracker, water temperature, LCD backlight, accurate location and some other accessories that allow you to take all the benefits of this device. Now, you can go with your family and friends on camping to spend a memorable time with them, but dont forget to take a GPS fishfinder with you. It will make your trip and fishing more excited, and you can catch as many fishes you want. You can also share your fishing coordinates with your family and friends and can also share your fishing analysis with them with this amazing instrument.